The Cincinnati Color Building in the Gateway Quarter once housed the gym where boxing legend Ezzard Charles trained. These days, the space packs a different kind of punch, swapping out heavy bags for sake barrels bright with elegant kanji and well-placed video screens looping with frenetic anime and samurai films. 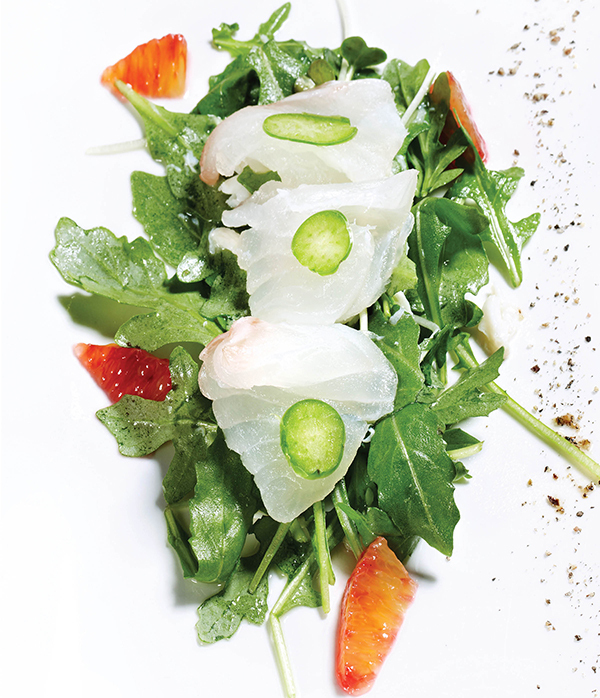 Since opening last spring, Kaze has quickly established itself as a front-runner in the neighborhood’s restaurant renaissance. Japanese-trained chef/co-owner Hideki Harada throws down edamame hummus with bittersweet lotus root chips, sea urchin shooters, and plate after plate of impeccably fresh sashimi with laudable consistency. But it’s his basics that are the real knockout. The steamed pork buns are soft and rich with slices of roasted then pan-fried pork belly. The soul-warming bowls of ramen brim with chicken and pork stock, heaps of al dente ramen noodles, yet more pork belly, and bok choy. Manhattans here make much of the Japanese love of whiskey. Kaze spikes their version—a winner in Woodford Reserve’s Manhattan Experience bartender exhibition series—with Cocchi Vermouth and Cardamaro for a bittersweet, floral note. With inventive-yet-homey Asian cuisine and an über-stylish makeover, Kaze has turned up the volume in OTR without drowning anyone out.